How long has True Covenant been a guild and how did it get its start? Officially since July 2011, but the majority of us have been gaming together for years, some off and on, some regularly. As TOR grew closer, it drew a lot of us back together again and got us planning. Some of us are purely online friends, others know each other in real life, and even some are relatives. What games has True Covenant played as a guild? The majority of us met while playing SWG and played that off and on for years, but have ventured into other games like WoW, Age of Conan, Lord of the Rings, etc. All focus will be on TOR though, for a good long while, come launch. 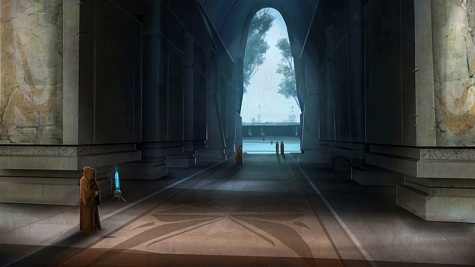 Can you tell us what kind of server and what faction your guild plans to utilize in Star Wars: The Old Republic? We will be a Republic Guild on a RP – PVE Server. Our emphasis is on Roleplay, and while a lot of us enjoy PVP as well, we don’t want to force it on our members. That being said, combat related Roleplay is resolved by actual in-game combat, *not* so-called “emote-duels”. As a role-playing guild does True Covenant have a detailed backstory? If so how did it come to be? Is it part of “cannon” or completely original? We have a fairly fleshed-out backstory already that came to be through the core of the Guild discussing it over Ventrilo, and the sort of Character classes and roles we’d want to personify. We discussed the elements of the game’s cannon that where available at the time on the Official TOR Site, and worked off what we knew for sure to provide a basic framework and purpose for our members. 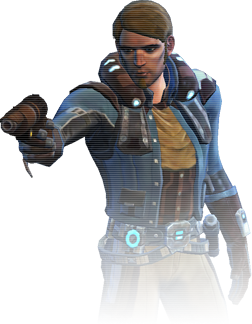 With the amount of story in SWTOR, especially class story, does the guild think it will take away from role-playing or add to it? We hope it will add greatly to the quality and enjoyment of Roleplay in-general. Most of us are used to a more “sandbox” style game to roleplay in, but the unique features of TOR should prove challenging and fun to work with. 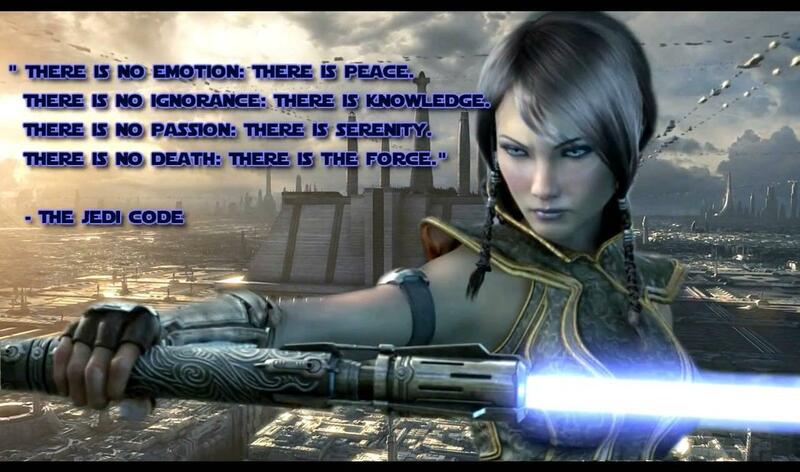 We are especially keen on the Lightside / Darkside scale, as that too offers some interesting tools for RP. How much role-playing is required of members? A fair to high amount, we have a Ventrilo channel for Out of Character talk, and like to keep Spatial or Area chat 100% In Character unless otherwise stated, as in the case of a raid or OOC PVP runs, etc. What are some of the membership requirements? We want experienced and mature gamers who enjoy various aspects of the game and want to be active in an active guild. We also have a Ventrilo Server, and Homepage with Forums that Members are encouraged to use to get the most out of being a part of True Covenant. The rest can be viewed in our Charter on the Site, but most of it is common-sense, or so we hope. True Covenant has a very well written charter that spells out the rules clearly. How does the guild use them to minimize “drama” and other possible negative issues? The rules are there to hold everyone to the same standards, regardless of their position within the Guild. If an issue arises, we can reference them to find the best course of action to take, and anyone involved can as well. Can you explain the leadership of the guild to our readers? Fun is a high priority of True Covenant. What are some ways the guild helps to maintain fun in-game and out? We’re a fairly lively bunch, always people around who are looking to group up and do something when in-game. Once the game launches we will be scheduling regular events, Instance Runs, Roleplay Events, PVP Outings, and so on. Brindan please tell us all a bit about yourself, your gaming background and what position you hold in True Covenant. What class and advance class do you intend to play first, at launch? Well, I’m a single male in my early 30’s who makes his living bartending in NOLA. I’ve been playing MMO’s since 1998 and when I find one I like I tend to stick with it and help create something there I enjoy being a part of. I am a Senior Warden and founding member of True Covenant and I will be playing a Smuggler Scoundrel as I am accustomed too. How can people find out more about True Covenant and what steps potential recruits need to join in order to join? The easiest way now, is through our Homepage and Forums. Once the game has launched, we will be happy to get to know potential members there, but even then any serious applicants will need to sign up as the site instructs. Other than that, you can try to catch us in Beta on the Nigut Road Server and say hello. Thanks to Brindan for all his wonderful answers, and helping to make this article possible. I also want to thank all of True Covenant guild for sharing about themselves and letting us see what they have to offer. So, if you are into role-playing in games or curious about it, I would suggest contacting True Covenant and seeing if they might be the guild for you. The answers for this article were given before the weekend testing was over, so True Covenant may not be on the Nigut Road server come launch or in possible future betas, but check their website for more details. Remember, if you would like to have your guild to be highlighted on the Corellian Run Radio website, please submit your guild’s name and website in an email to me at jason@corellianrun.com. Thanks and see you next week! True Covenant has a guild trailer out now !!! Here is the youtube link!